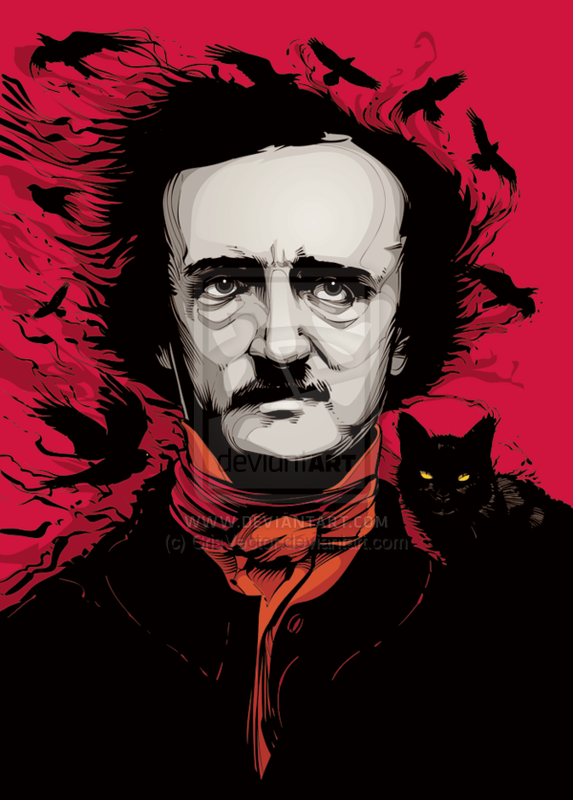 No wonder we love Edgar Allan Poe’s works . . . the Gothic gems deal with questions of death, including its physical signs, the effects of decomposition, concerns of premature burial, the reanimation of the dead and mourning. No surprise we ate PBS Distribution’s American Master: Edgar Allan Poe: Buried Alive. Missed it on TV? It’s now on DVD. Written and directed by Eric Stange, this new documentary draws on the rich palette of Poe’s evocative imagery and sharply drawn plots to tell the real story of the notorious author. Starring Tony-winning and Emmy-nominated actor Denis O’Hare and narrated by Oscar- and Tony-nominated, two-time Golden Globe-winner Kathleen Turner, the program explores the misrepresentations of Poe as a drug-addled madman akin to the narrators of his horror stories. This caricature is thanks, in large part, to a high-profile obituary filled with falsehoods, written by his literary rival Rufus W. Griswold. Determined to re-invent American literature, Poe was an influential–and brutally honest–literary critic and magazine editor, who also invented the detective protagonist with his character C. Auguste Dupin, refined the science fiction genre and popularized short stories, actually writing more comedies than horror. Filmed in Boston Harbor’s historic Fort Independence at Castle Island, this program combines dramatized re-enactments with O’Hare of key moments in Poe’s life, readings from Poe’s works by O’Hare, Oscar-nominated actor Chris Sarandon and actor Ben Schnetzer, and interviews with authors including Marilynne Robinson, Matthew Pearl, Jeffrey Meyers and Zach Dundas, director Roger Corman and others who reveal how Poe tapped into what it means to be human in a modern and sometimes frightening world.